Production of the most expensive sedan in the world ceased last year. Actually, the most expensive one is one million dollar thing from Aston Martin dubbed as Lagonda Taraf, but due to its limited numbers, we wouldn’t dispute with Phantom taking the crown. The new one is on the horizon, but that shouldn’t stop you from reviewing some of Rolls’s delicacies before new era commence. 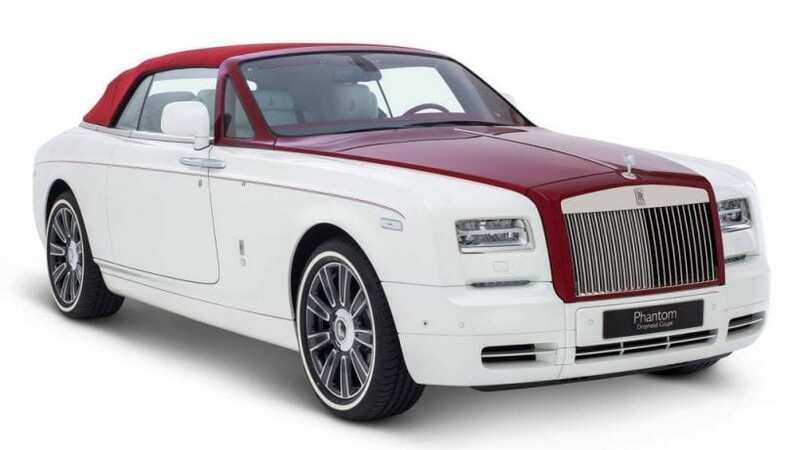 2017 Rolls-Royce Phantom Drophead Coupe Inspired by Desert Rose is one of those gems letting you forget about the newcomer and about the fact that it is pretty much based on Phantom introduced 14 years ago. 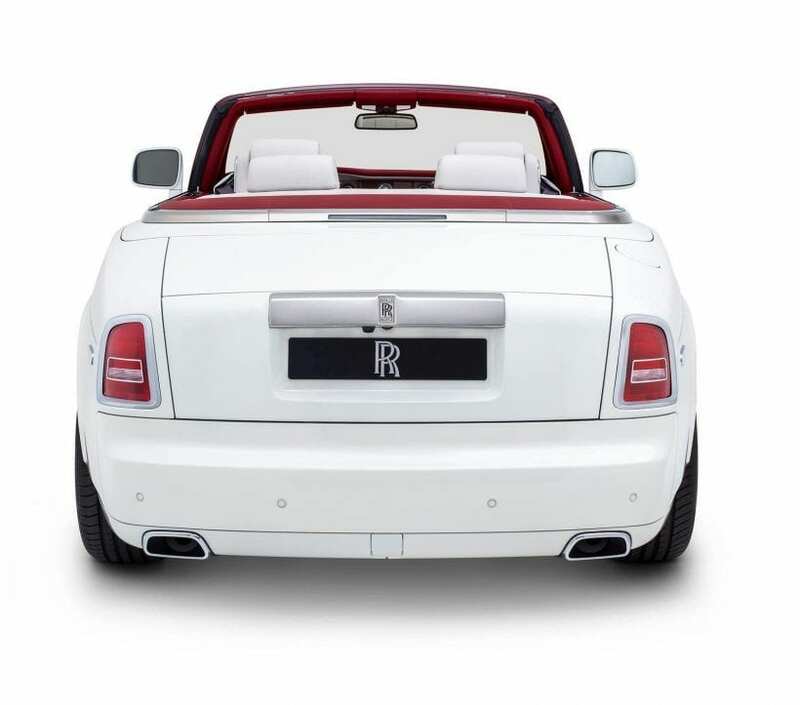 Every Rolls is timeless and those without the roof especially. Rolls-Royce Bespoke is British car maker way of making already special cars feel more special. It chose a theme and then employ it in the very visual essence of the car. Styling exuberance is achieved by red and white color combinations, obviously same one as on famous flavor. Hood, grille surround, A-pillars, soft-top and its cover are all in beautiful shades of red, contrasting the bright white paint cover of the rest of the body. There is a double red line stretching across the whole side decorated with tiny flowers near the front fender. Inside follows the similar story. White leather upholstery is flavored with red stitching along with whole areas covered in flaming color. There is also a line, here across the dash ending in flowers, but this time gold plated, same as Arabic inscriptions above it. Just like all other parts of Wisdom collection, Rose received just appearance touches, leaving everything underneath intact. Who would even want to fiddle with something as glorious as Rolls’s V12? 6.75-liter beast produces 453 hp and 531 lb-ft of torque, which is more than enough by all standards. Why? Purely because it moves almost 6,000 pounds of highest luxury in fairly fast 5.6 seconds to 60 mph. Despite the fact it is powerful, it is never brutal. It is a blue-blooded finest English gentleman, nurturing you as lavish yachts do, but also getting you in time where ever you are headed to. 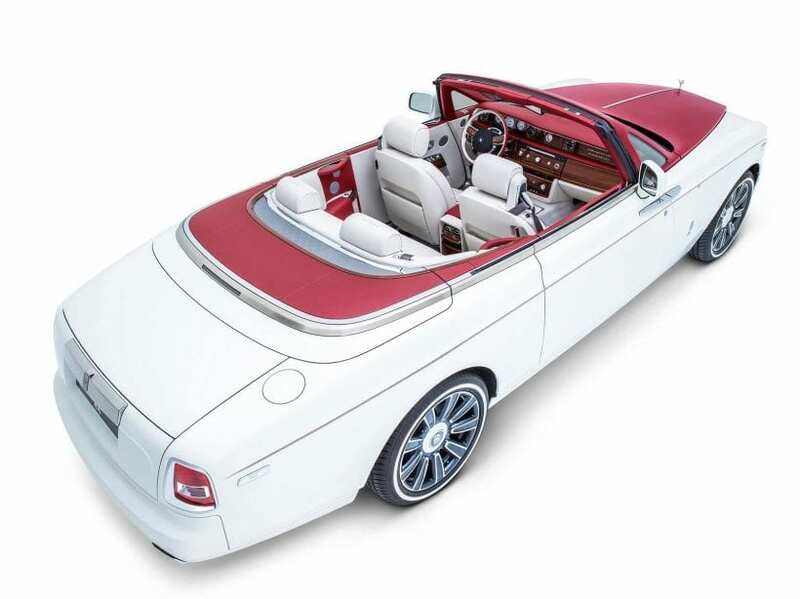 If your taste is refined enough to be genuinely attracted by 2017 Rolls-Royce Phantom Drophead Coupe Inspired by Desert Rose, there are a couple of things you should know. All parts of Wisdom collection are dedicated to Arabic culture, hence located in the Abu Dhabi dealership in the United Arab Emirates or place where Rolls-Royce sells most of its products. 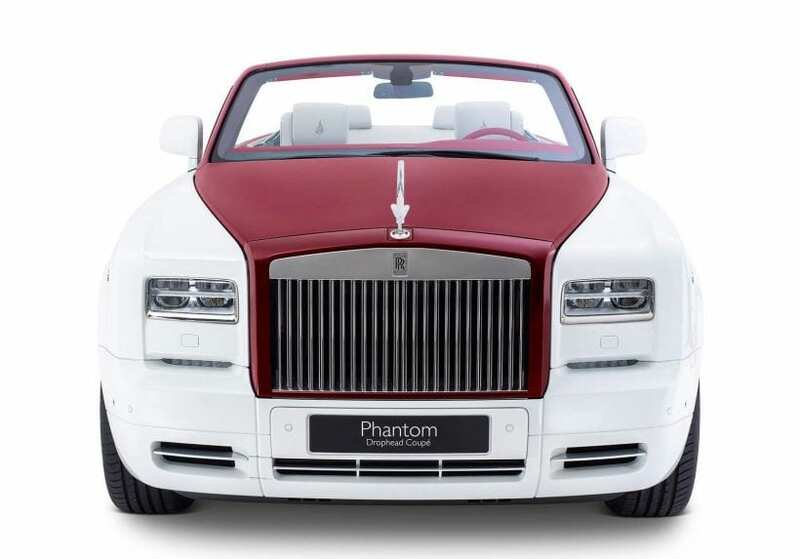 Roofless Phantom is over a half a million dollars in UAE, and we are sure that “flower’s touch” asks for a hefty premium over it, about which any potential buyer probably don’t care at all.